When you get an email from The Gannet, asking you if you’d be interested in taking a couple of people on a tour of Cork city, with a particular focus on pubs and microbreweries, there’s only one answer. So, one damp Tuesday in September, I sat in the window at Miyazaki on Evergreen Street. I was waiting for Gannet writer Sophie Missing and photographer Dan Dennison who were battling their way through the waterlogged Cork traffic after lunching with and interviewing owner Takashi. We may have started our tour a little late, but we more than made up for it. There were pints. Oh yes. There was also plaice. Plus sherries, ciders and craic. 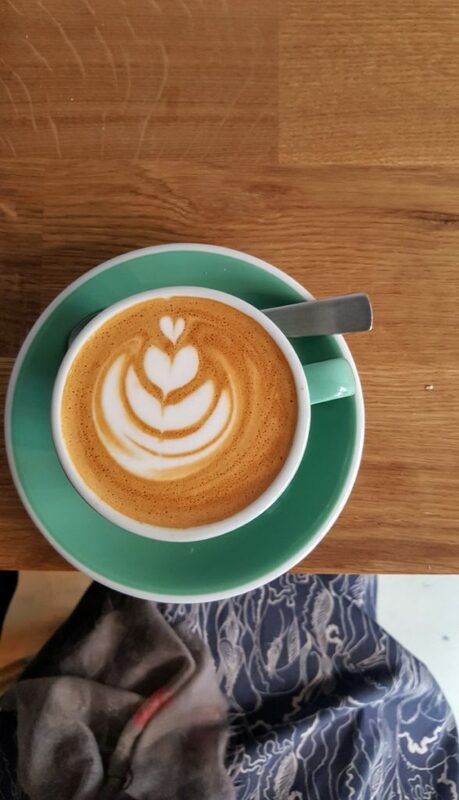 We kicked off at Soma with a couple of flat whites, before zooming into the English Market to do a whistle stop tour of my favourite spots, picking up cheese at On the Pig’s Back, tasting some nitro dandelion cacao deliciousness at My Goodness and calling by Tom Durcan Meats‘s for some spiced beef. 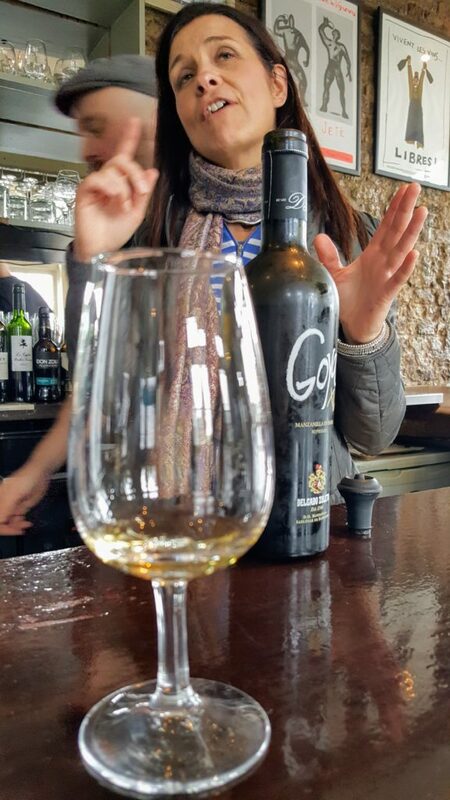 Good food and iconic Cork food institution under our belts, it was time to meander across the river for a chilled pre-dinner manzanilla at L’Atitude 51 and a word or two with owner Bev. 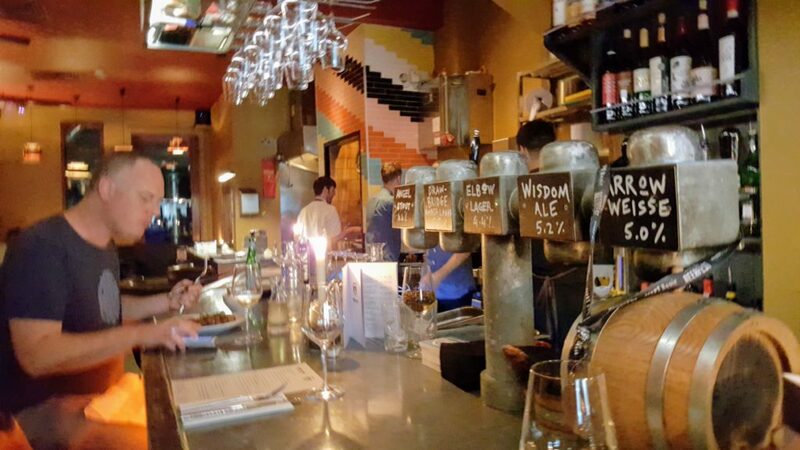 The classy Elbow Lane, a city centre nanobrewery, was our dinner spot. After a swift brewhouse tour, we settled into their luxurious bar seats for a flight of the in-house beer, a plate of plaice and side of potato and seaweed gratin that almost had us fighting. But it was too early to fall out over food – there was lots yet to do. We took a zig zag path through the city, dancing with the lights across the lovely Shandon Bridge to the craft beer haven that is Bierhaus. 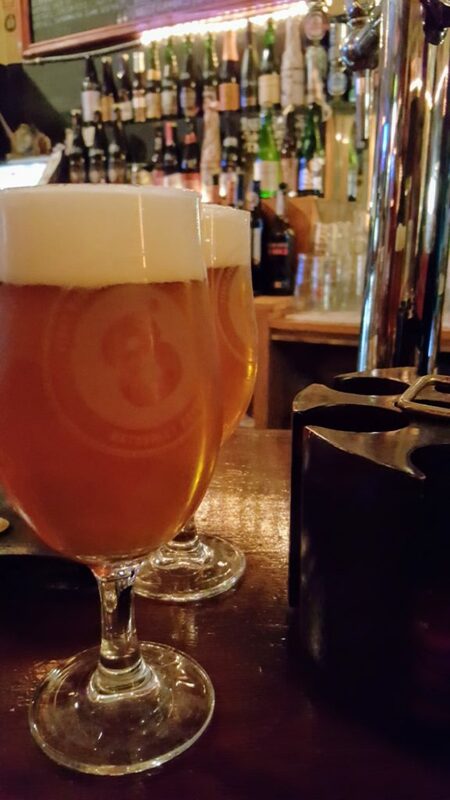 We had the freshest, hoppiest Hurricane IPA there; four hours and four stops into the tour, it would have been rude not to taste something from Eight Degrees. 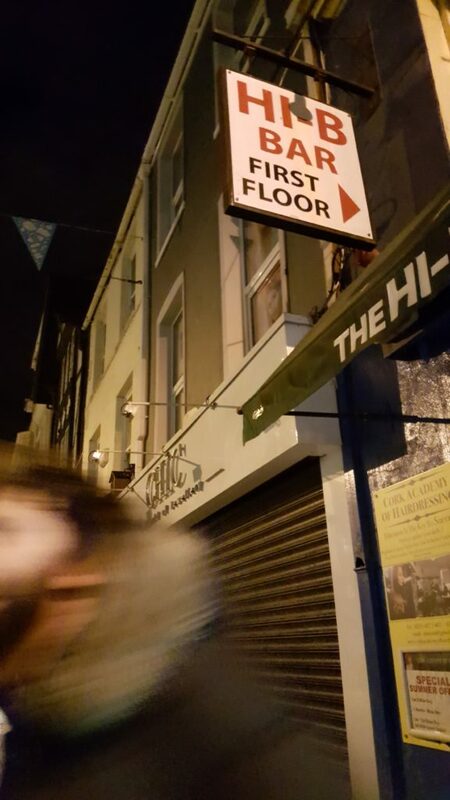 The final destination of the night was an old, old haunt of mine; the Hi-B Bar over on Oliver Plunkett Street. It hasn’t changed much since those long ago, post-college days. You still have to be surreptitious with your phone, the bar staff still have the same unflappable attitude – and there are still pints of rich, roasty Beamish, even if it has now been swallowed up by Heineken’s greedy maw. It’s the only drink that you want in the Hi-B, though. Always has been.